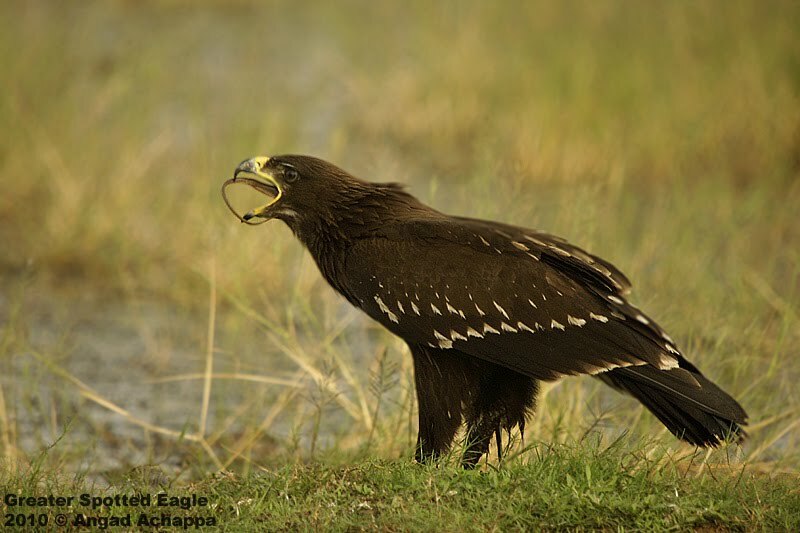 These images are from the same Jan series of the Greater Spotted Eagle. As we entered our regular shooting area, we noticed this eagle being harassed by a lot of kites. 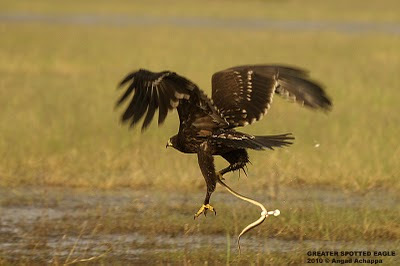 On closer inspection we found the Eagle siting with a snake that it had just killed. My friend Vinay and I were fortunate enough to make quite a few images. Being continuously harassed by the kites, the eagle took-off in search of a more peaceful spot. Followed the eagle flying till it perched a little distance away and made a few more images. 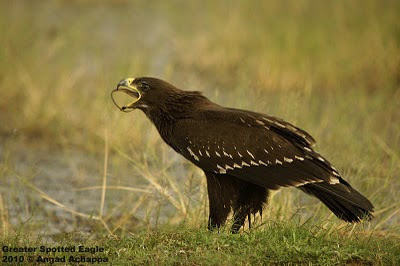 All images shot with Canon EOS 40D + Sigma 50-500mm courtesy Vinay & Rajesh respectively. Awesome shots. Isnt that the snake's intestines bulging out in the first two pics?!! Great captures Angad. He looks a big, powerful bird. lovley shots Angad...and which place is this? Dinner...head first. Super shots Angad. FAB. 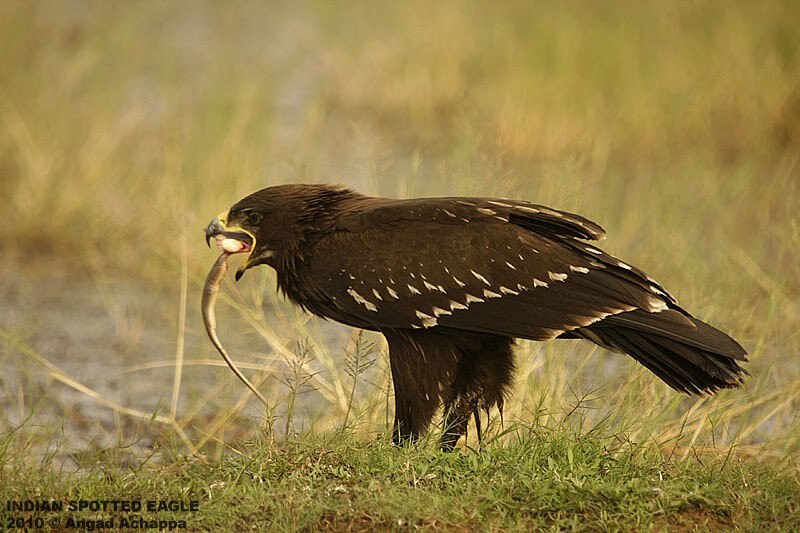 I usually love your eagle pictures a lot, but these ones are just amazingly splendid!! Wow man, what a capture for both the eagle and you. YOu got some breathtaking shots there. Well done! whoa.... this pic is a treat..! !